Write.delete.repeat with the retractable version of FriXion! Erases cleanly by friction-generated heat with the special FriXion eraser nub, leaving no debris. Uses the same ink to write and over-write. 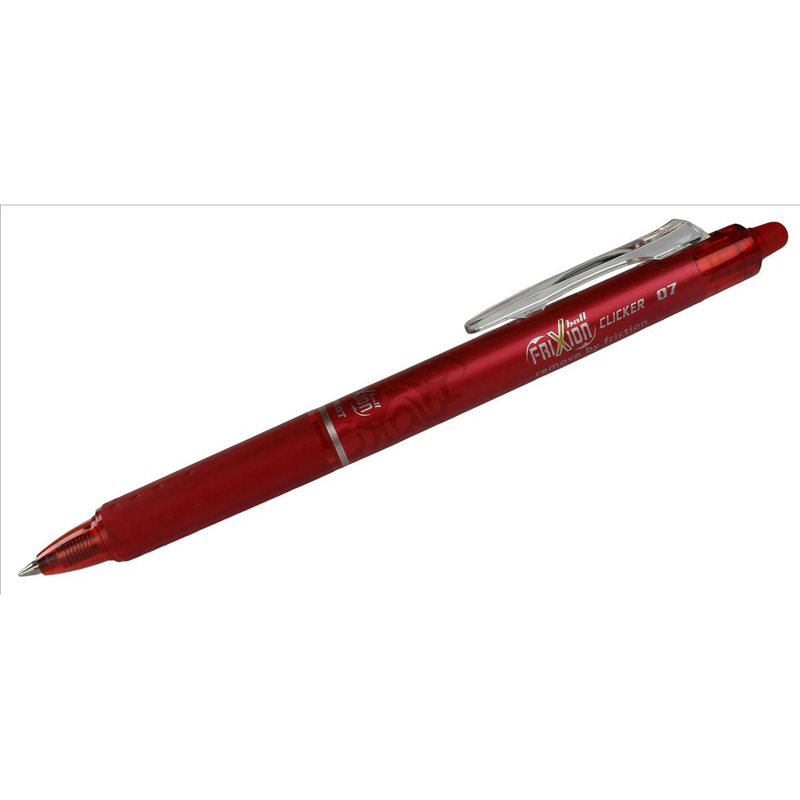 Using a new patented thermosensitive ink, the FriXion Ball Clicker, loyal to PILOT's tradition, revolutionises writing! It has a funky style with its tapered barrel and its tattoo decoration. Not to be used for signatures, legal documents, examination papers or other documents where writing needs to be of a permanent nature.